This is the incredible all-new Aston Martin DB11 which now boasts of a V12 5.2litre engine under the bonnet producing 600bhp. 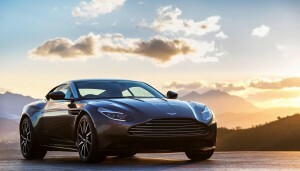 This is now the most powerful DB car ever made and the new engine will help propel the DB11 from 0 to 62mph in less than four seconds. It has a top speed of 200 mph. While fans may miss the firm’s naturally aspirated V12, the new version is a twin turbo with the same level of performance but more flexibility and better fuel economy. 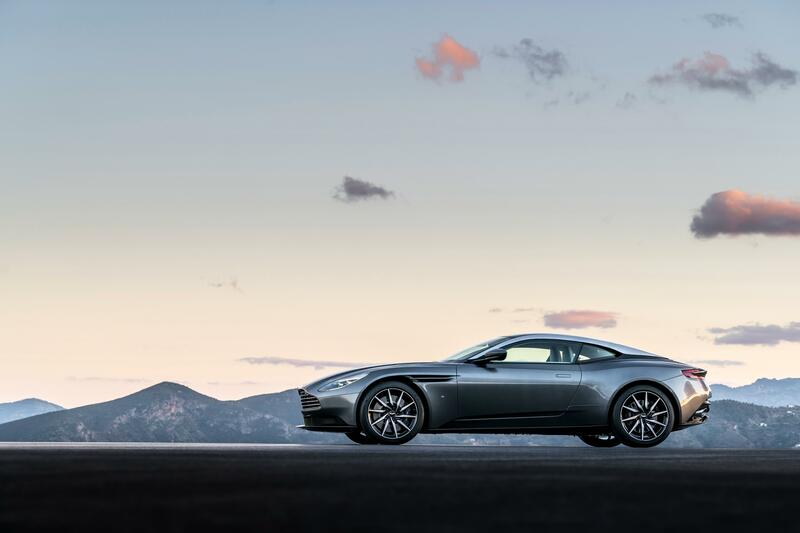 Performance in the Aston Martin DB11 is also helped with an eight speed ZF auto gearbox with driving modes of GT, Sport and Sport+ and there’s a new electric powered steering rack as well as dynamic torque vectoring to help deliver sports car agility. The body itself has a new structure which is stiffer and offers more room for those on board. Fans will appreciate that there is a whole new styling language involved which points towards the future design-wise for Aston Martin. The sweeping lines include new LED headlights, a bold grille and the clamshell bonnet to help deliver a classy looking vehicle. The Aston Martin DB 11 has also been aerodynamically engineered so front end lift is reduced and there’s an ‘Aeroblade’ under the boot lid which removes the need for a rear wing for the car. Equipment includes an 8inch screen, auto park assist, a 360-degree camera and a Bang and Olufsen stereo. 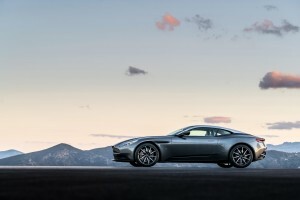 However, one of the big attractions, which is in line with a growing trend from carmakers, is that potential buyers can customise their new Aston Martin DB 11 to their own tastes. Indeed, Aston Martin says this is its most customisable model ever made and are offering buyers a range of interiors and exterior colours and will have more options than the 72 currently available for buyers of the Aston Martin Vanquish. The Aston Martin DB11 is available to order now and will cost from £154,900. This entry was posted in Car Leasing, Cars, New Cars, Sports Car and tagged Aston Martin DB11 by Steve Lumley. Bookmark the permalink.